I tried two varieties of Breakfast Bagel Bites: 1) Bacon, Egg & Cheese; and 2) Sausage, Egg & Cheese. This is one of my least favorite new frozen breakfast products to come out in the last year. The Bagel Bites are cute and appear appetizing. They smell great while they're being microwaved. That's where the complements end. The biggest problem is that they opted to use a cheese sauce instead of straight-up cheese. It just feels like the cheese is runny and wrong. Some may worry that their Bites aren't fully cooked because the texture of the cheese sauce is similar to uncooked egg yolk. On top of that, it tastes very artificial. Of the types of Breakfast Bagel Bites that I tried, I narrowly preferred the bacon variety. 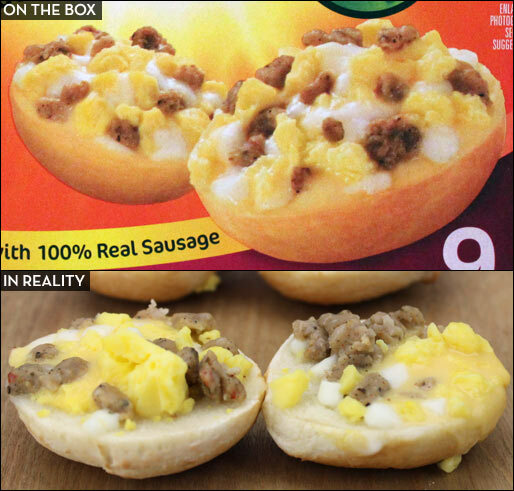 The sausage in the other variety had little flavor and was hardly noticeable among the other ingredients. The texture of the actual bagel component was fine. It's mostly soft despite the microwave crisping tray that's part of the packaging. It would probably be better if the bagel could come across as toasted. The egg is just kind of there like filler. It has a vague texture of scrambled egg but it adds little flavor. These Bagel Bites get cold very, very fast. 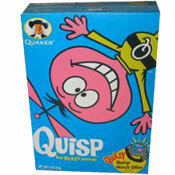 If you don't eat them within 2 minutes, there's no trace of warmness left. The bagel also gets more chewy after they've set out. The bottom line is that these Bites are not very good at all. I suspect that that the runny, artificial-tasting cheese will have some consumers even calling them disgusting. I recommend that you skip this product. What do you think of Breakfast Bagel Bites? Original Bagel Bites are amazing... these are JUST AWFUL! I'll never get those calories back. I want my money back. Ultra disappointing. Threw away over half the box. Agree with everything in your review except for why you gave it 2 stars instead of a big fat ZERO. Super gross! Made my stomach sick... Blagh! 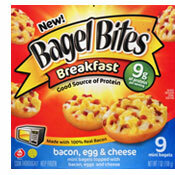 These are the worst tasting frozen breakfast foods I've ever had. So bad.